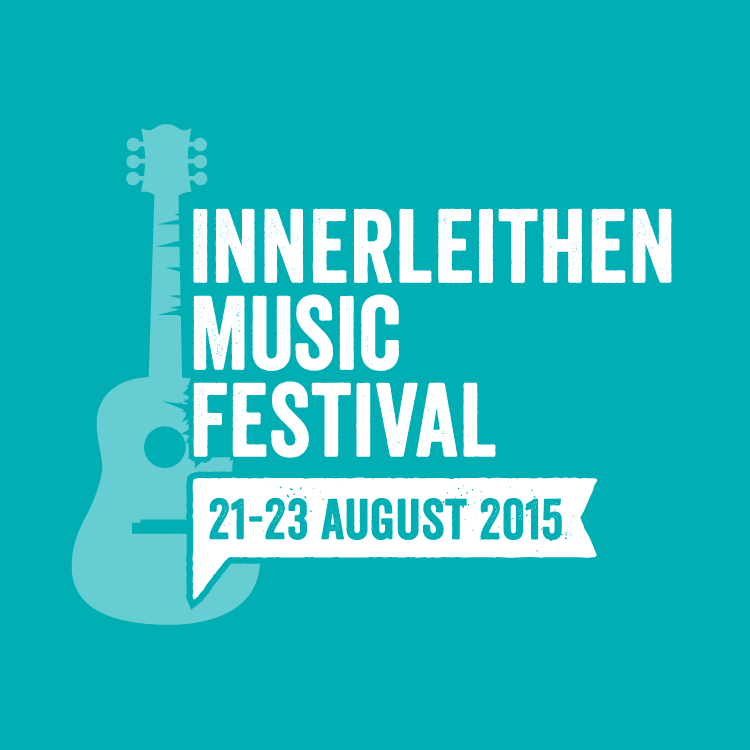 We are pleased to announce the launch of the new Innerleithen Music Festival website. 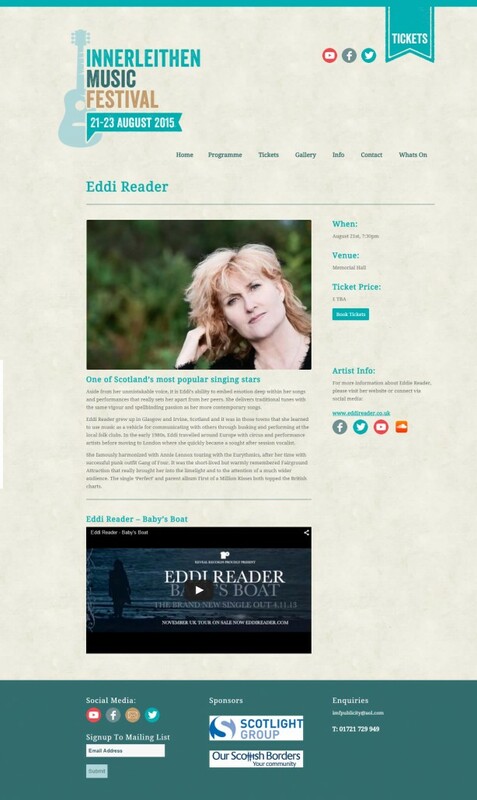 The Festival committee approached us earlier in the year as their current website, which had stood them well, was starting to look a little dated. 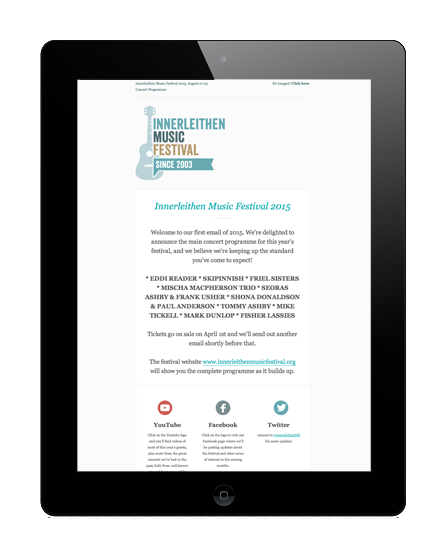 The brief was to design a clean, responsive web site along with new logo, branding, promotional and advertising material. 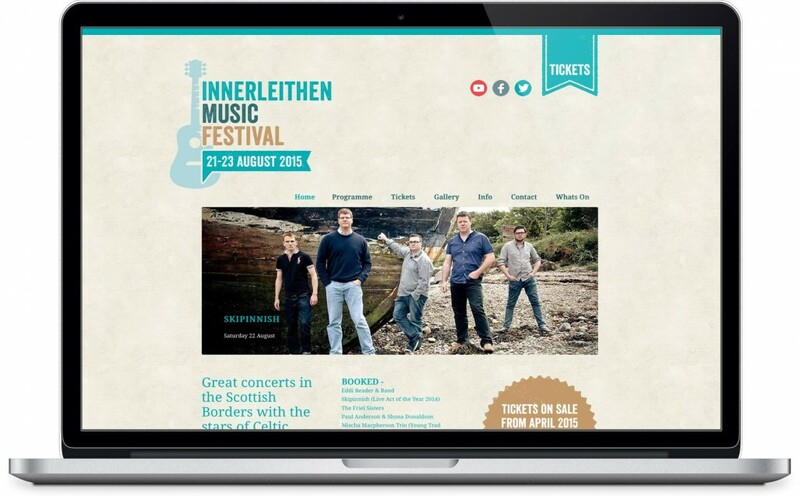 We worked closely with the very talented Graphic Designer Dave Cotter from Caddon Creative, another superb local Innerleithen business and the results are impressive. 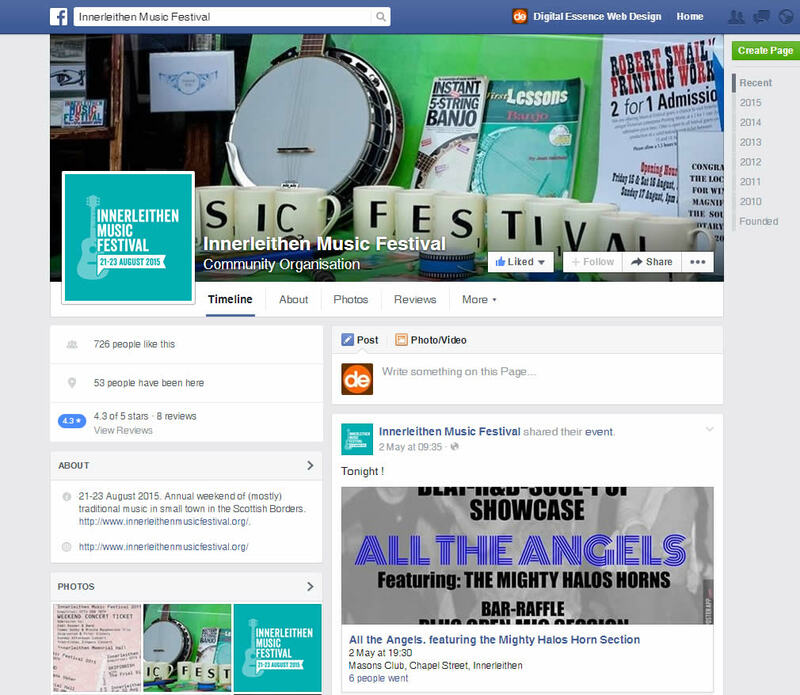 The new website for the festival was built on WordPress, the popular Content Management System. We used a lot of custom PHP code to provide additional functionality and ensure the site works across all platforms and devices. 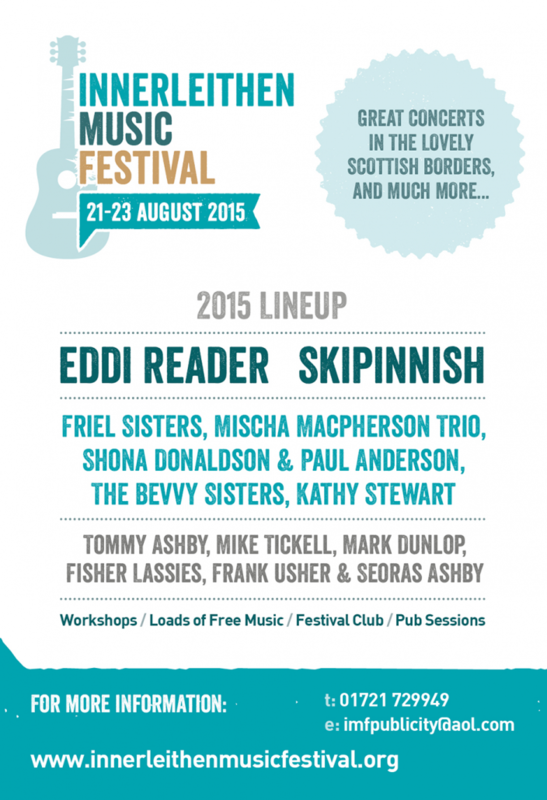 The Innerleithen Music Festival is now in its 13 year and going from strength to strength. 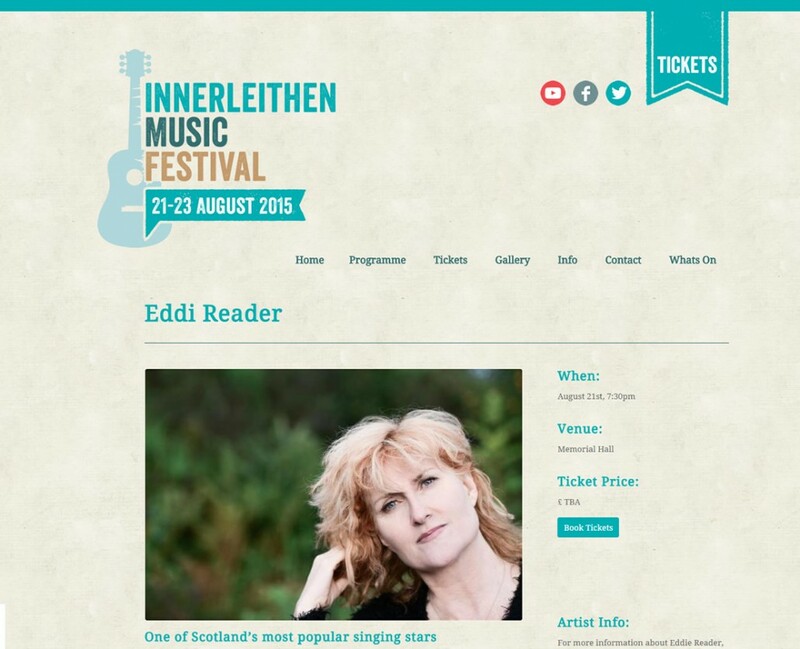 Tickets went on sale in April and are selling out fast so if you do fancy seeing some quality music in Innerleithen this year, get in there quick!